Any time you need a memorable precense, trust us and our proven ability to produce graphics and materials that stand out and get noticed. 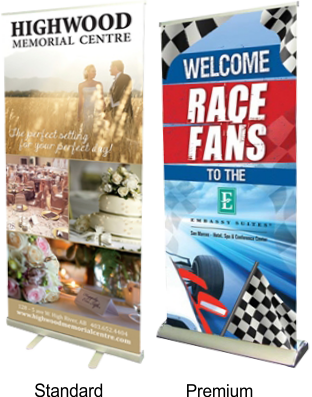 Our headquarters will craft a high-quality, custom Retractable Banner Stands highlighting your special offers or promotions. If you want to get the word out about your next big event or trade show appearance ahead of time, we can help by creating flyers or posters that will drive awareness. 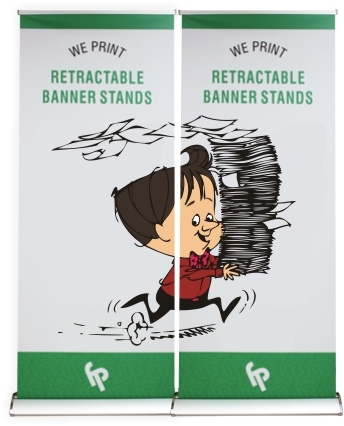 Standard and Premium stands hold a 33x83 inch banner.